Compuware has gone back to its mainframe roots, and it has made the trip agile, CEO Chris O'Malley tells InformationWeek in an interview. Linux on a mainframe is not a new idea. Red Hat and SUSE are already there. Linux on an affordable mainframe is the new idea. Curved, 4K monitors were on display at CES. Is their next stop on your corporate desktop? Capital Markets Outlook 2015: Social media infrastructure in financial services will grow dramatically in the coming year, putting pressure on IT and compliance to shed manual processes and use scalable technology. Where Should You Spend Your IT Budget in 2015? Capital Markets Outlook 2015: A bank can get the biggest bang for its IT buck by implementing agile development methodologies. Banks that use agile deliver 96% of their projects on budget and 79% of them on time. If Wall Street CIOs want to stay ahead of competition and ensure high-speed trading software doesn't start the next flash crash, they need better insight into vendor delivered software. Capital Markets Outlook 2015: Following a few years dominated by regulatory compliance and cost saving technology initiatives, financial organizations are finally investing in innovative technology and tools. Bitcoin presents a new type of nontraditional, highly technical, experimental, and global digital instrument to our already complex world. That fact should not conjure fear. It should engender excitement. Most signs are pointing to a big increase in investment in big-data analytics and cloud in the coming year. A new TABB Group model demonstrates how revenue per employee can help mitigate high total technology spending costs. A TABB Group report introduces "human capital" into a new TCO benchmarking model and discovers average spending on a capital markets front office employee tops $461,000 annually. Citibank Brazil Deploys Award-Winning BPM Solution: Now What? Citibank Brazil automated commercial customer onboarding and reduced cycle time by 70%. But how can a global organization harness the successes of its islands of solutions? Nasdaq OMX's plan to move the SIP to the INET technology platform, coupled with ongoing reductions in latency and plans for hot/hot disaster recovery, influenced the committee's final decision. Can capital markets take a tip from front-to-back-office customer execution efficiencies and apply it to the investment process? The financial services industry is starting to adopt shared services, resulting in reasonable impacts to the bottom line. Genpact expects a push for reporting efficiency will come next. 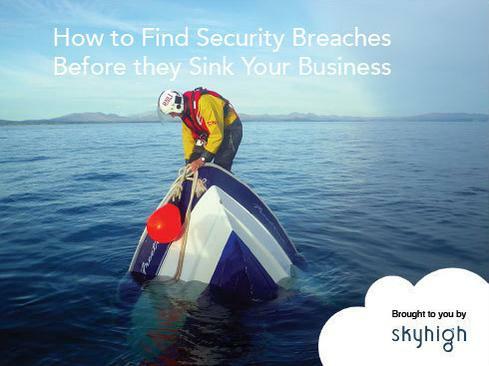 Breaches create outliers. Identifying anomalous activity can help keep firms in compliance and out of the headlines.